HP USB Disk Storage Format Tool free download, HP USB Disk Storage Format 2019 is a tool that can be used to format any USB Flash Drive, Memory Stick, Memory Card, with your desired file system FAT, FAT32, or NTFS. this tools is to easy to use all you have to do is specify the device you would like to format. Then, you need to specify the file system and choose a drive letter. 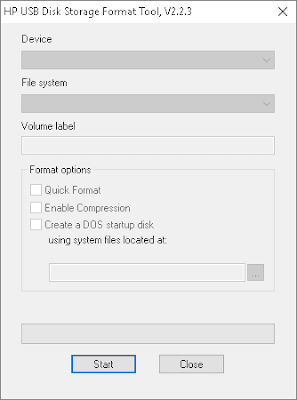 and for last step, specify quick format or enable compression (this option take time depend on disk size). Create a FAT32 volume that is larger than 32 GB. Create a DOS startup disk with internal MS-DOS. 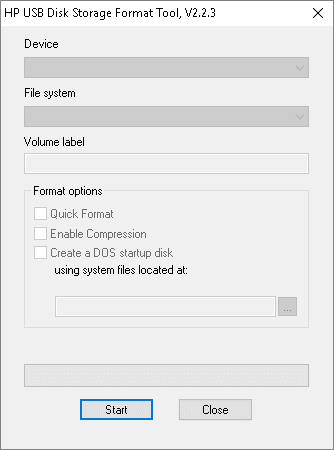 Create a DOS startup disk on a specific path. 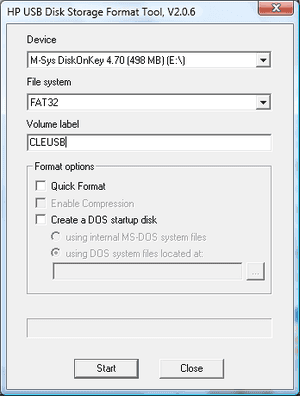 Support file system FAT, FAT32, or NTFS.